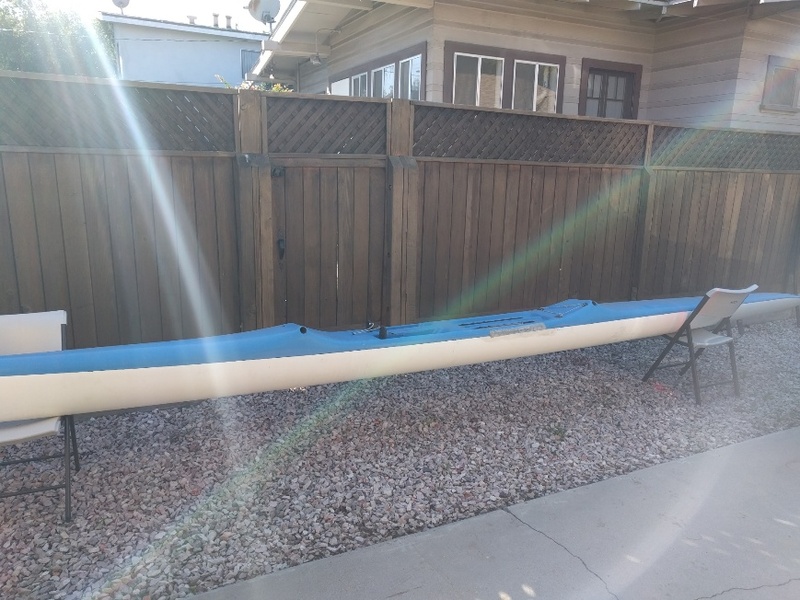 OC1 canoe for sale in Long Beach. Older but solid and watertight. A little TLC needed with the bungees and aesthetic. Seat and iakos are included but not pictured. I believe it is a Kai Elua Kaku designed by John Puakea. All the stickers have been taken off so I can't be sure. 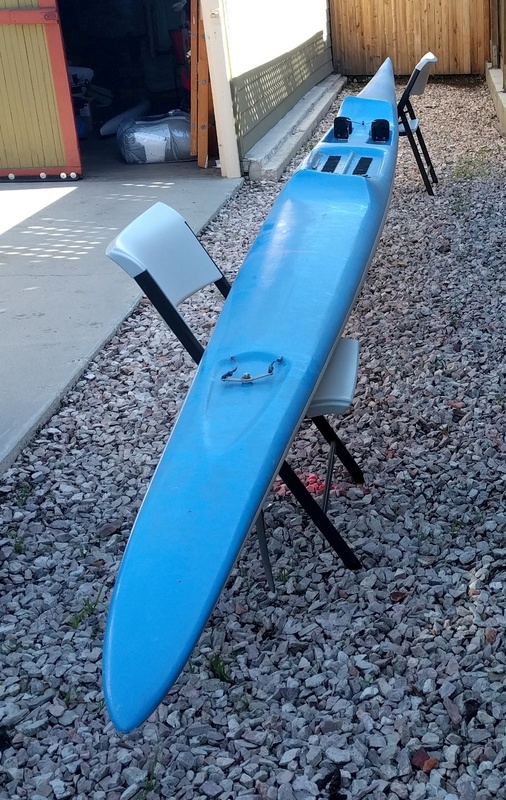 Great beginner's boat as it super stable. Canoe is at the house. 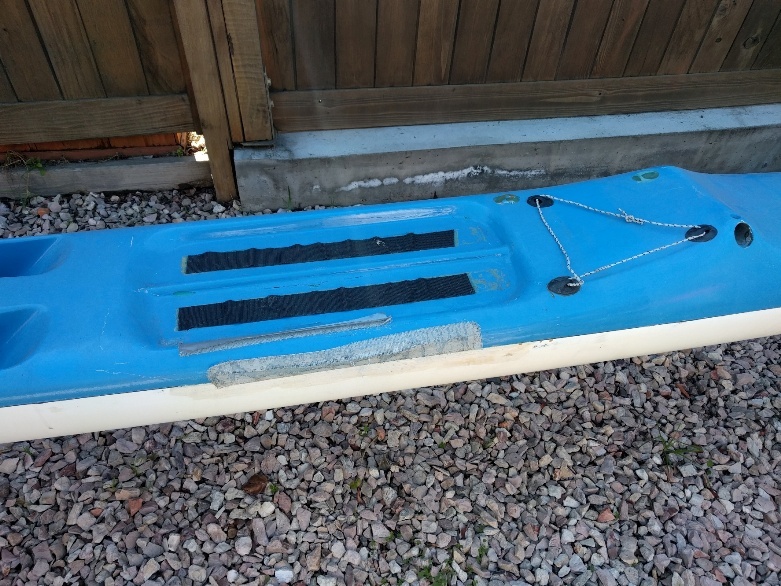 I can help arrange transport after canoe is purchased. First $500 gets it.